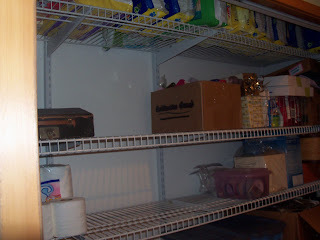 The Spring Cleaning & organizing continues - though at a slower than planned rate. 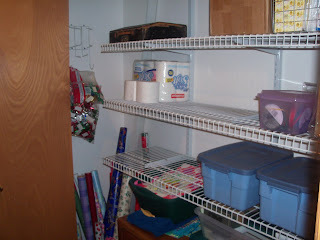 The most recent finished project is the hall closet. Mostly I just pulled everything out and was selective about what I put back in. I got rid of two boxes worth of junk including many items from the dresser drawers. 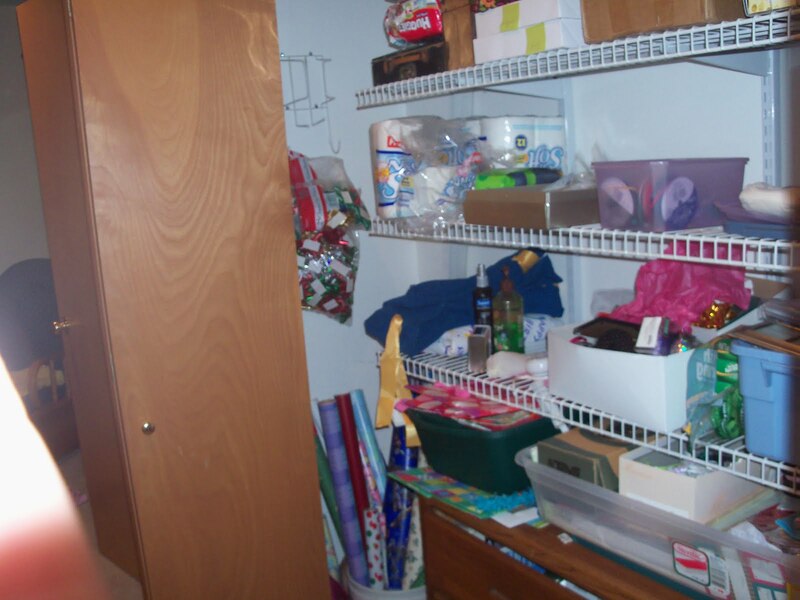 The dresser sits below the shelving (it isn't very visible in the photos) and is one of my favorite things about this closet because I can store so many small things and the mess isn't visible. 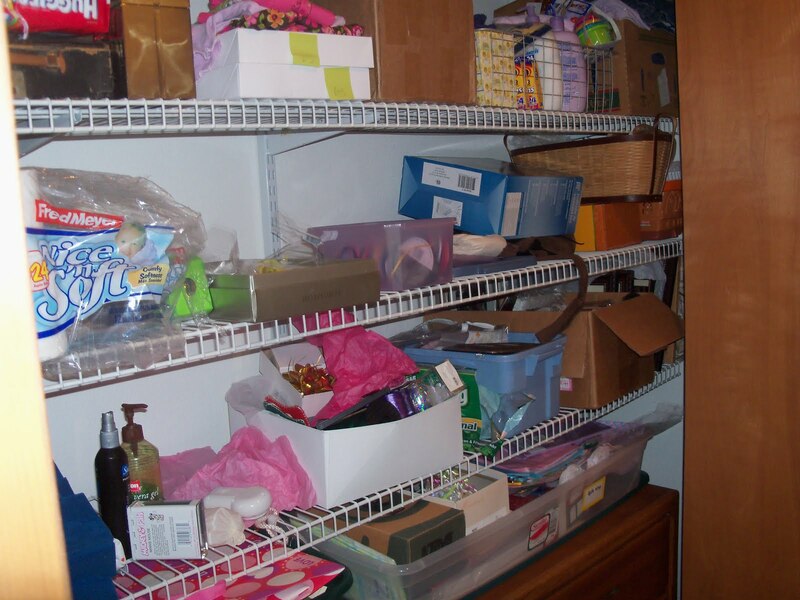 The drawers hold things like first aid items, stockpiled bath products, small kid gifts, and intermittently used household items like extension cords. I organized the giftwrap items, the 'gift box', the stockpiled diapers on the top shelf and various other items used often enough to keep inside the house instead of the garage. I also tossed out lots of empty or almost empty boxes that were just tossed in the closet at one time or another. I love the closet organizing! Next up I'm working on Joanna's room and I'll get to attack her closet, too. It's full of baby junk that will be fun to sort through both as preparation for new baby and as a chance to weed out unnecessary items! Yay! It's always refreshing to have some empty shelves!